Sir – I have a smelly water heater. It is in a vacation home we use several times a year. 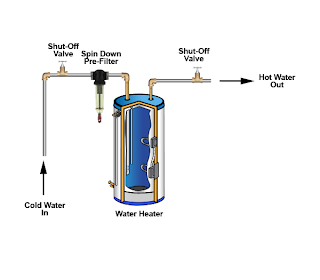 I have tried changing the anode rod and we even replaced the water heater at a few years ago, but every time we go there, the hot water smells horrible, like rotten-eggs or sulfur gas. The well water is generally good otherwise, we have no odors or staining, except from the hot water! Help! For situations like this, it is best to shock your water heater with hydrogen peroxide or chlorine bleach when you first visit your vacation home each time. This will eliminate the odor, often for several weeks. 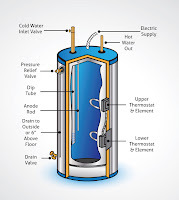 Almost all water heaters have "anode rods" which protect the water heater from corrosion. 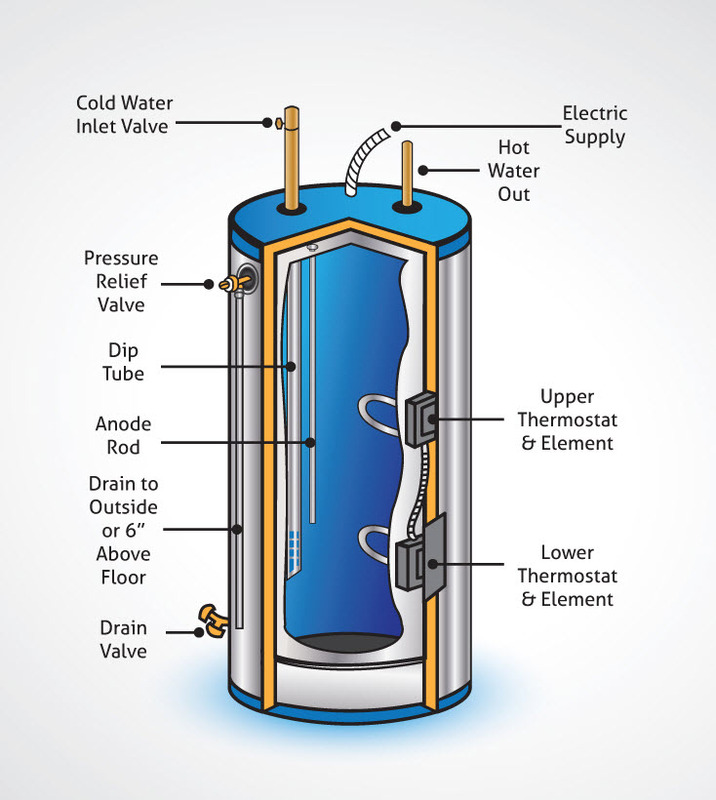 These rods, in a cathode-anode reaction, produce excess ions that wear off the anode rod and adhere to the inside glass lining of the water heater, preventing corrosion. The greater the activity of the anode, the greater the amount of hydrogen ion and hydrogen sulfide gas can be produced, particulary if there are high levels of sulfate in the water, which is common. Iron and sulfur bacteria are often present and make the problem worse. Fortunately it is easy to add some peroxide (or bleach) to the water heater using a special type of hot water spin-down pre-filter. 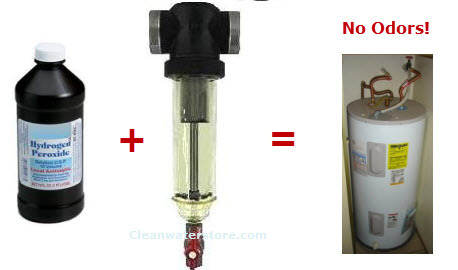 Simply unscrew the pre-filter, add 1 pint of peroxide and turn the water back on. The peroxide kills bacteria and practically instantly destroys all odors. After the peroxide has worked on the odor and bacteria, it breaks down into oxygen and water. Chlorine bleach will work too, but not as well as peroxide.